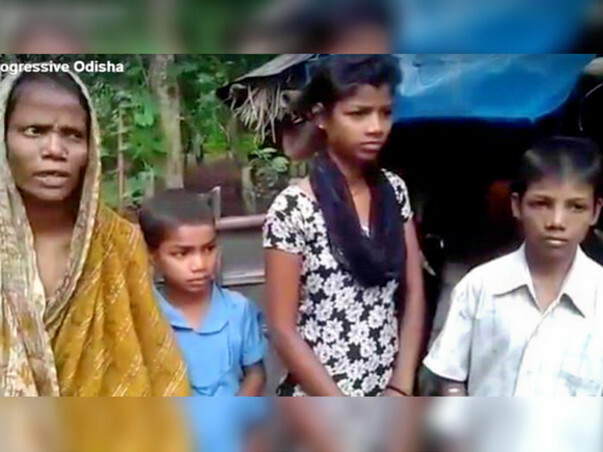 This is the real life story of Shri Gangadhar Pradhan of Batipara Village, Kendrapara, Odisha, aged around 50, a poor man having three children, but due to fractured hand he got jobless and it became very difficult to meet their daily needs. He got an Indira awas sanctioned in his name, but it was just 25000/- which is impossible for him to complete the house. Now their house is incomplete and his whole family is staying in a cattle shed. One unfortunate day his wife was bitten by snake but she survived. Due to frustration Mr. Gangadhar left his house and no body has any clue about his location. His three children in spite of going to school working in daily wages to meed their daily needs. We are raising these funds to help to complete their house roofing and let his wife to do some small business so that she could manage herself to survive and also help her children continue their study. We are appealing to all kind hearted people, please come forward to help this family, lets secure the future of our country. Refer by Mr. Rajat Parida our office colluge, am contiributing a smalla amount from my end for this family. 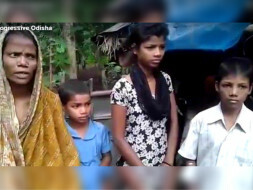 This is the refrence from our Office Colluge Mr Rajat Parida that to help out this poor family and as from my side iam contributing the amount as Rs 1000 for paying this poor family for there needs. Thanks to Rajat as he had discussed this all with me. iam sure this is the good one creating such a wonderful website to help this poor family. i am helping this poor family by adding my contribution of little amount as 1k and also encouraging my friends collouges to do so . God Bless Them.